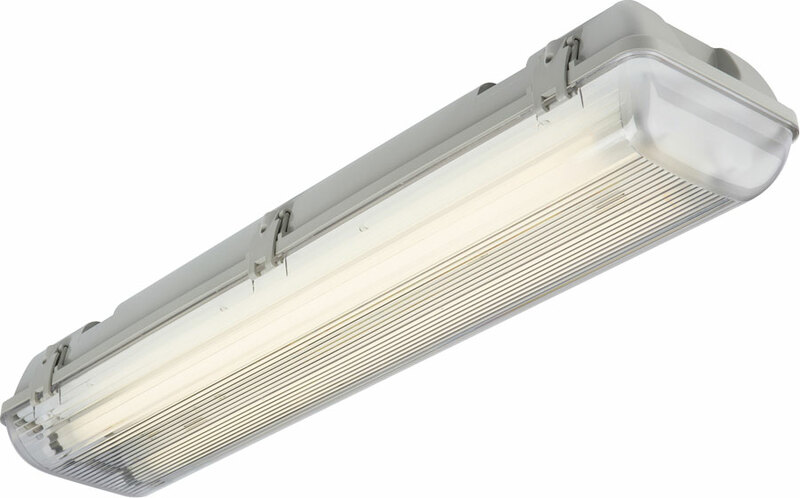 Non corrosive, 240v surface mounted IP65 rated 6ft twin fluorescent light fitting, in a grey finish polycarbonate. A high frequency light fitting, with electronic control gear, supplied complete with a quick release polycarbonate light diffuser and nylon suspension straps. A weatherproof fluorescent fitting, designed for areas with high humidity and external applications such as kitchens, outbuildings, garages, workshops and stables.